Thesis: Understanding changes in the chemistry, mineralogy and morphology of soil due to fire. I am doing research on the impacts of heating on soil properties. The specific aim of my study is to investigate the potential impacts of forest fire on highly weathered Western Australian soils. I am investigating changes in soil properties that will affect the growth of plants in forests after fire. I also investigate how heating soil impacts the soil minerals including subsequent mineral reversion by rehydroxylation. My research includes studies on ideal natural or synthetic mineral samples as well as soil samples. 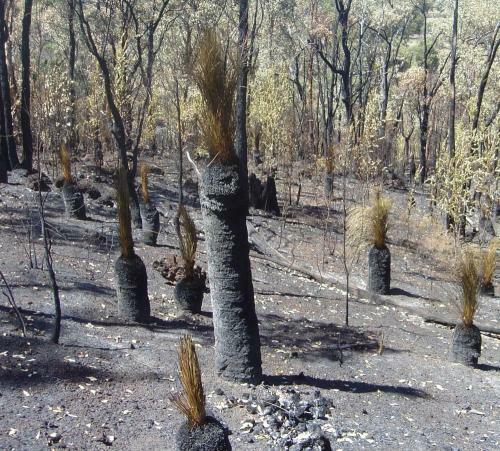 The study is conducted in the laboratory using soil samples taken from forest sites affected by fire and from control sites in the Darling Range of Western Australia. The effects of fire on soil will also be investigated in laboratory simulations of forest fires. Many land surfaces including Australia experience high intensity forest fires with adverse impacts on biodiversity and the community. Considerable research on fire impacts has been carried out, but there has been little research of changes in the chemistry, mineralogy and morphology of soil due fire. The study that I am doing will address this deficiency and might assist successful land reclamation and ameliorate environmental problems associated with the fire. Previous studies have identified apatite group phosphate, diverse carbonates and other salts in ash. Heated soils experience dehydration of minerals producing highly reactive compounds such as metakaolinite and hydrohematite that will influence the availability of some plant materials. The persistence of these compounds in soils is unknown and requires investigation. 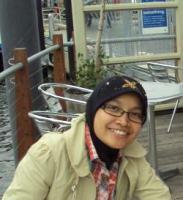 Endeavour of International Postgraduate Research Scholarship (EIPRS) and The University of Western Australia.